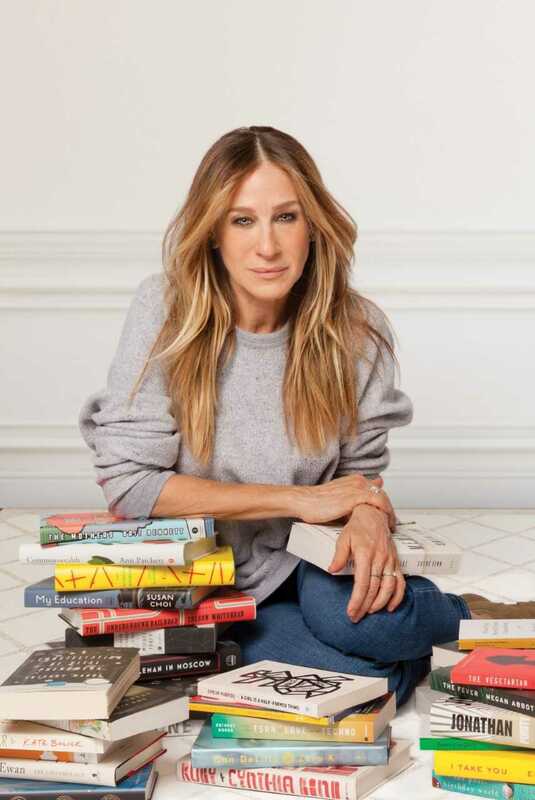 CHICAGO – Honorary Book Club Central Chair Sarah Jessica Parker has selected Sarah Smarsh’s Heartland: A Memoir of Working Hard and Being Broke in the Richest Country on Earth (Scribner) as her latest pick for the American Library Association’s (ALA) Book Club Central. Smarsh, born a fifth generation Kansas wheat farmer on her paternal side, and the product of generations of teen mothers on her maternal side, has written a memoir that combines personal narrative with powerful analysis and cultural commentary. 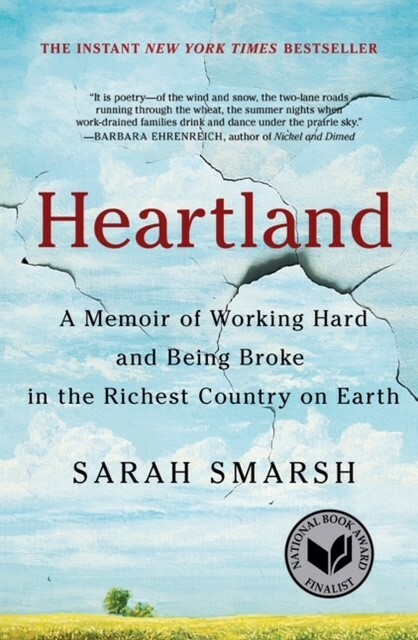 A finalist for the National Book Award, Heartland examines the myths about people thought to be less because they earn less. Ms. Parker’s previous picks for Book Club Central have been No One is Coming to Save Us by Stephanie Powell Watts, Exit West by Mohsin Hamid, Stay With Me by Ayobami Adebayo, Anatomy of a Miracle by Jonathan Miles, and She Would Be King by Wayétu Moore. In addition to being Honorary Chair of Book Club Central, Ms. Parker is an Honorary Lifetime Board Member of United for Libraries, a division of ALA, a role she is using to raise awareness about the integral role of Friends groups in the library. Book Club Central, designed in consultation with expert librarians, provides the public with the very best in reading and is a place for engaging content and information for book clubs and readers everywhere. Book Club Central Sponsoring Partners are Booklist, the book review magazine of the ALA; United for Libraries, a division of ALA; and Libraries Transform, the ALA’s public awareness campaign, along with Corporate Platinum Partner Penguin Random House. Corporate Gold Partners include OverDrive and Sisters in Crime. About Scribner: Scribner is an imprint of Simon & Schuster, Inc., which is part of CBS Corporation and a global leader in general interest publishing, dedicated to providing the best in fiction and nonfiction for readers of all ages, and in all printed, digital and audio formats. 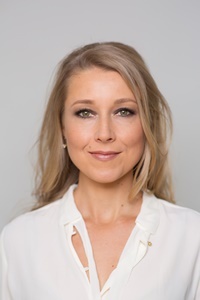 Its distinguished roster of authors includes many of the world’s most popular and widely recognized writers, and winners of the most prestigious literary honors and awards. It is home to numerous well-known imprints and divisions such as Simon & Schuster, Scribner, Atria Books, Gallery Books, Pocket Books, Touchstone, Adams Media, Threshold Editions, Simon & Schuster Children’s Publishing and Simon & Schuster Audio and international companies in Australia, Canada, India and the United Kingdom. Simon & Schuster proudly brings the works of its authors to readers in more than 200 countries and territories. For more information, visit www.simonandschuster.com. About the American Library Association: American Library Association (ALA) is the foremost national organization providing resources to inspire library and information professionals to transform their communities through essential programs and services. For more than 140 years, ALA has been the trusted voice of libraries, advocating for the profession and the library’s role in enhancing learning and ensuring access to information for all. For more information, visit ala.org. To contribute to support ALA’s work, visit www.ala.org/donate. About United for Libraries: The Association of Library Trustees, Advocates, Friends and Foundations, is a division of the American Library Association with approximately 4,000 personal and group members representing hundreds of thousands of library supporters. United for Libraries supports those who govern, promote, advocate, and fundraise for libraries, and brings together library trustees, advocates, friends, and foundations into a partnership that creates a powerful force for libraries in the 21st century. To join, please visit www.ala.org/united or call (800) 545-2433, ext. 2161.